A SHIP’S CAPTAIN IS FOUND HANGED IN HIS CABIN: SUICIDE OR MURDER? Marine claims investigator Angus McKinnon is assigned to the case, but when he discovers a falsely declared cargo of military equipment in the ship’s holds, alarm bells start ringing in the intelligence world. What looked routine becomes a perilous mission to thwart a coup d’état that threatens to pit two global superpowers against one another, while a secretive bank with Nazi gold glimmering darkly in its vaults attempts to derail the investigation. And as questions and misgivings mount, what motivates the beautiful Mariana da Cunha to help Angus in the troubled land of her birth? From the Atlantic Ocean to the jungles of West Africa and a final face-off in the vast emptiness of the Sahara, McKinnon must finally join with a daunting array of military resources, and marshal his own wits to bring down a psychopathic war criminal and those playing him as their proxy. A WORLD WAR II WRECK LIES BENEATH THE SOUTH CHINA SEA: IS HER CARGO WORTH KILLING FOR? 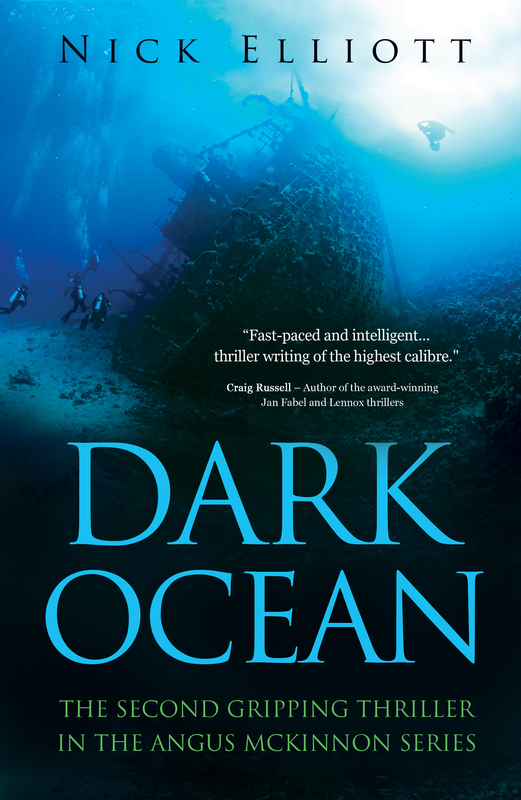 When instinct tells maritime claims investigator Angus McKinnon that a wave of frauds must be connected, he thinks it’s just business as usual. Instead, he uncovers a ruthless conspiracy born of greed and the lust for power. 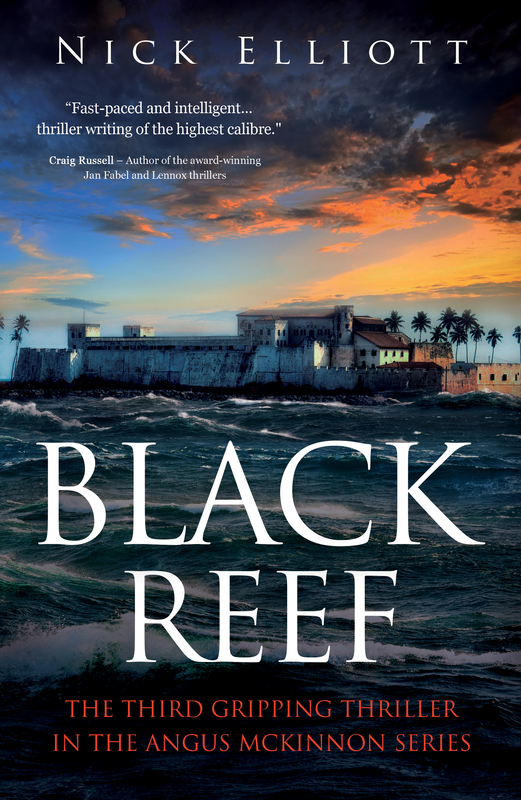 As he starts to unravel a trail leading from the post-Soviet drabness of a Black Sea port to a sweltering anchorage in the Gulf of Thailand, a devastating explosion in the Indian Ocean changes everything. Facing down terrifying childhood memories, torn between two very different women and doubting old friends, McKinnon must navigate a precarious path between secretive government agencies, shady syndicates and avaricious crime lords, towards an unpredictable endgame. 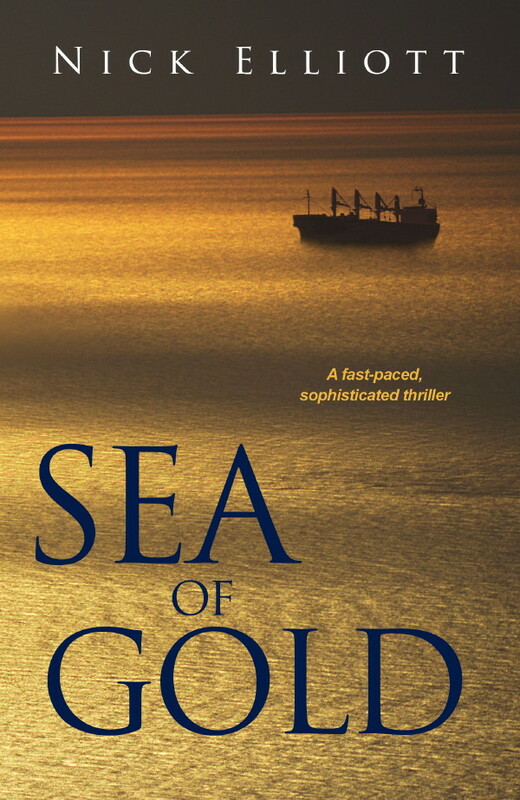 A gripping page-turner, Sea of Gold draws the reader into a world of extremes, the casual affluence of the super-rich contrasting with the dignified poverty of the desperate. Meanwhile, McKinnon’s two loves – the enigmatic Claire and his devoted long-term lover, Eleni, vie for his attention.